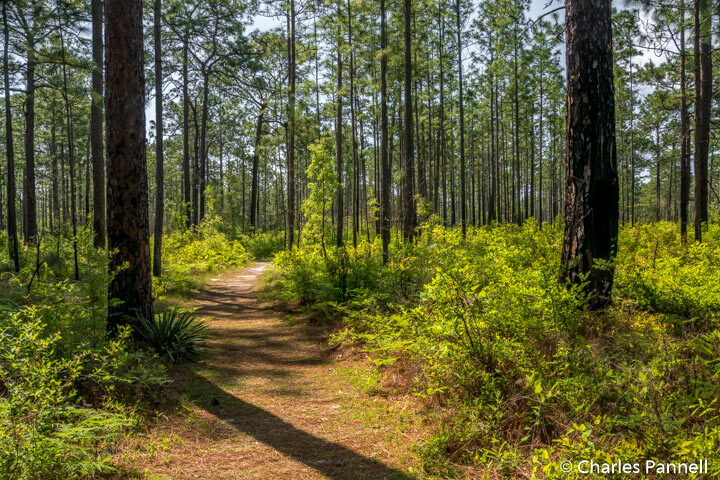 Located about 85 miles west of Jacksonville, not only does Suwannee River State Park (www.floridastateparks.org/park/Suwannee-River) offer visitors a glimpse into the past, but it also gives them a taste of the “real Florida”. 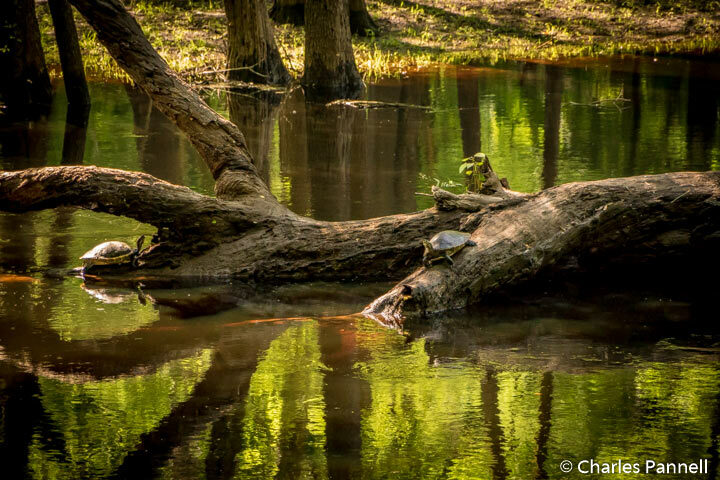 From a Civil War Cemetery and some historic earthen forts, to the namesake river that gently meanders alongside Spanish moss-draped oaks, this park is bursting with the natural beauty that Stephen Foster reveled about in Old Folks at Home. And with a trio of trails for wheelchair-users and slow walkers, there’s no shortage of scenic spots to explore in this definitively southern state park. Start your visit with a walk along the Sandhill Trail, which my be doable for many power wheelchair and scooter-users. This .8-mile loop begins at the bridge near the main parking lot, and although the first 10-15 feet are dotted with ruts and tree roots, that’s truly the most inaccessible portion of the trail. If you can make it past that section, you’re good to go. After the first rough section, the trail opens up to a wide hard-packed dirt trail covered with forest duff and dotted with tree roots here and there. After the trail crosses the service road there are a few sandy patches, before it returns to hard-packed dirt. About half-way along, the trail passes through the old Columbus Cemetery, which dates back to the Civil War. Most of the graves are fenced off but there’s level access around them on grass and hard-packed dirt paths. The cemetery contains historic and recent graves, with the last person being buried there in 1973. After that the trail continues through the forest on a hard-packed dirt trail, and loops back to the parking lot. It’s a pleasant jaunt though a pine oak forest dotted with ferns, and the cemetery is must-do for history buffs. The park also includes some earthwork forts from the Civil War. 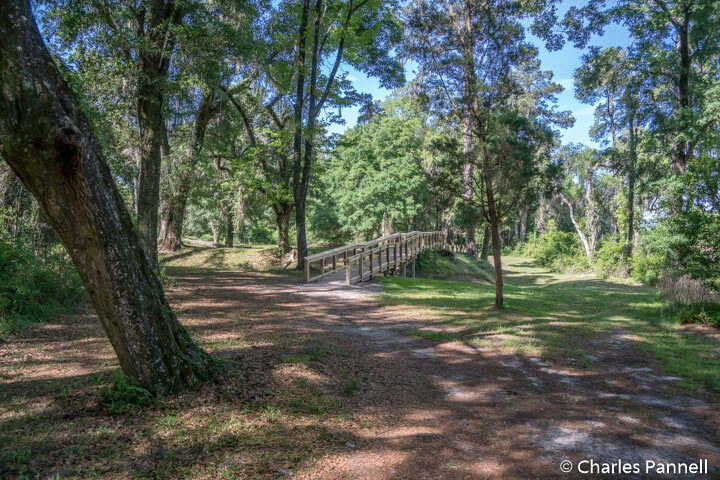 These long dirt mounds were built by confederate soldiers, to defend the Suwannee River railroad bridge from Union gunboats. Today a boardwalk leads out over one of the earthworks, and offers visitors a scenic river view. The path out to the boardwalk begins directly across from the accessible picnic shelter — just look for the collection of old steamboat parts and follow the hard-packed dirt trail through the forest to the boardwalk. There are a few exposed roots in the forest, but the trail is pretty manageable for most folks. There’s level access to the accessible boardwalk, which leads out to an overlook where visitors can get a good view of the confluence of the Withlacoochee and Suwanee Rivers. There’s also a level path around the earthwork, if you’d like a closer look at the walls of the earthen fort. At just a half-mile round-trip, it’s the most accessible trail in the park. Last but not least, the first portion of the .8-mile Suwannee River Trail may be doable for some wheelchair-users and slow walkers. The trail begins in the main parking area, and continues north, alongside the river. This hard-packed dirt trail is level, and although there are a few tree roots along the first section, they are easy to dodge. 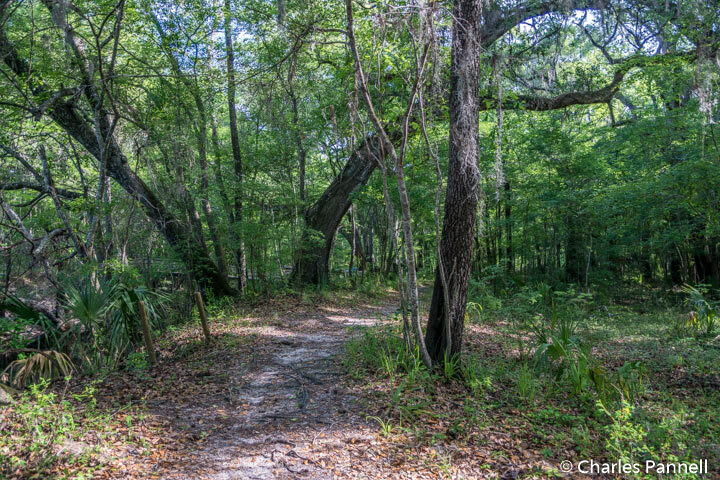 The trail continues on through the oak forest and crosses the park road near the boat launch. After that a level bridge leads out across the Lime Sink Run; however the trail loses its access after that point. All in all it’s about a half-mile round-trip stroll through the shaded forest, and it’s definitely worth a try. Alternatively you can take the park road down to the boat launch and begin the trail there. Although it’s about the same distance as the riverside route, it’s much smoother as it bypasses the first bumpy rooted section. Either way, it’s a very scenic stroll and definitely worth the effort.